"The enormity of this event is something that only history will be able to judge." 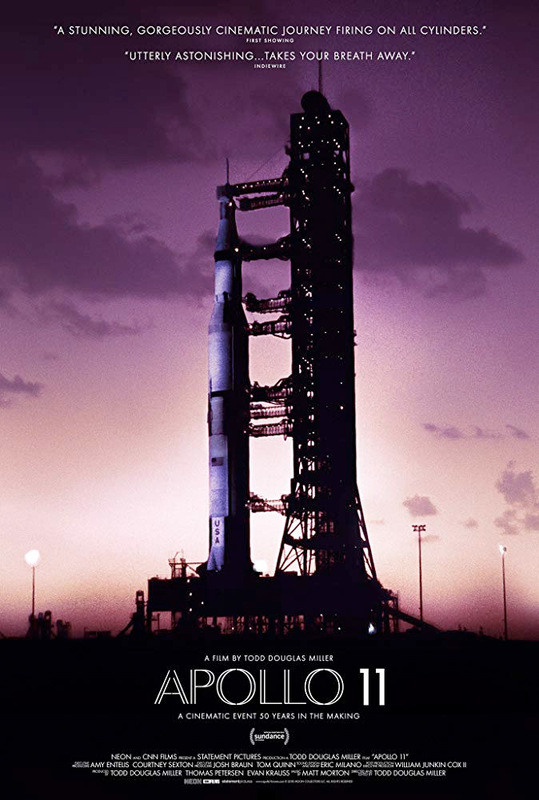 Neon and CNN Films have debuted the full-length official trailer for the documentary Apollo 11, from director Todd Douglas Miller (Gahanna Bill, Dinosaur 13). This feature film is made up entirely of never-before-seen large-format film footage of the Apollo 11 mission to the Moon. It just premiered at the Sundance Film Festival to quite a bit of acclaim - and it needs to be seen on the big screen for the full experience. Neon is releasing this film in connection with the 50th anniversary of the 1969 landing on the Moon (they landed on July 20th, 1969) by mission commander Neil Armstrong and pilot Buzz Aldrin. I am quoted in this new trailer (and on the full poster) from a review I wrote last weekend at Sundance, where I said it's "a stunning, gorgeously cinematic documentary made up entirely of footage from NASA's archives." Fellow space nerds - you can't miss this. You can watch the first teaser trailer for Miller's Apollo 11 documentary here, to see the initial intro again.